To All The Boys I’ve Loved Before is a Netflix original film based on the first book in a young adult series by Jenny Han. If you haven’t seen it yet I suggest you add it to your list. 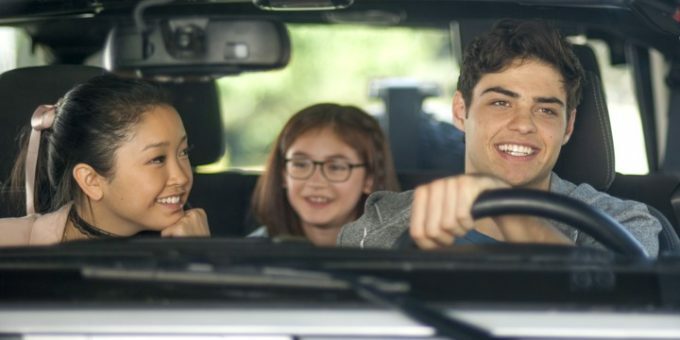 Lana Condor and Noah Centineo are both amazing in this film. Lana plays Lara Jean, who writes 5 letters to her crushes that were never meant to be sent. You know that thing people do where they write letters to people just to get things off of their chest but never actually send it out? Yeah, she did that. This is where Noah comes in. He plays Peter Kavinsky, the popular guy that dates the popular girl and gets everything he wants. But he’s sweet. An added bonus for all of you Pretty Little Liars fans. Janelle Parish is sort of in here as the older sister. “Sort of” because she’s off at college in Scotland. We do get a few scenes with her though, which include a very short Skype call. The ball gets rolling when Lara Jean’s little sister, Kitty, sends all of the letters out. Peter and LJ become a couple and things fall apart and come together at the same time. To The Boys I’ve Loved Before is a really chill movie. Watch it if you’re just wanting to veg out on the couch and eat some snacks while watching your new favourite film. I’d give it a 9 out of 10.